With their elegant grace and clean lines, it is no wonder that Elite Roman Style Soft Shades add distinction and sophistication to any room setting. The cascading folds of the classic teardrop style in a Roman Shade allow your for a more traditional look. Elite’s line of over 100 beautiful and textured fabrics add a luxurious and designer look to your windows. Fabric types ranges from opaque to semi-opaque transparencies, and are available in colours and patterns that lend themselves to any decor. All fabrics are made from 100% non-fraying polyester material. Elite Roman Shades operate on a high quality hardware system that guarantees the shade will raise and lower easily, and stop exactly where you want it to. The shades are also available in cafe-style, allowing for an added convenience of top-down or bottom-up control. The new multi-tone option lets you select a complementary or contrasting fabric for the valance and panel bands, giving you the opportunity to feature a second colour choice. 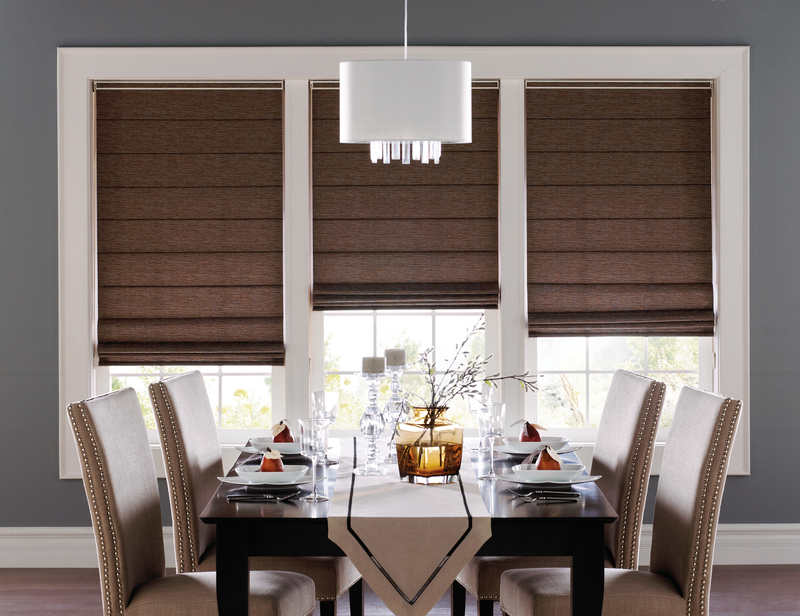 This option increases the range of looks you can achieve with your Elite Roman Shades. Elite Roman Shades can be set in motion with Somfy® automation technology. Elite Roman Shades operate on a high quality hardware system that guarantees the shade will raise and lower easily and stop exactly where you want it. 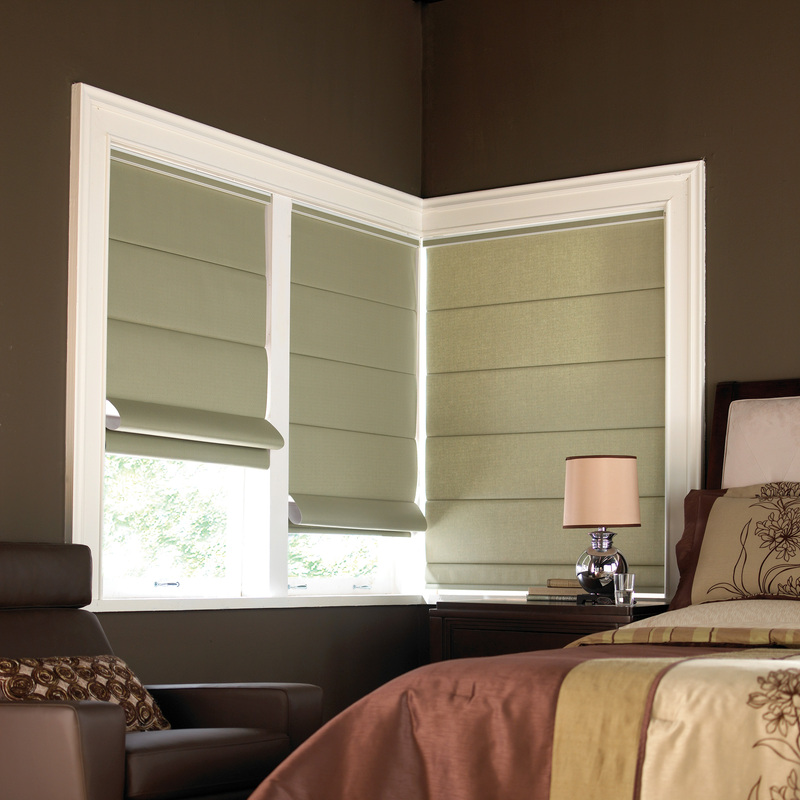 When in the fully-raised position, Elite Roman Shades have the appearance of a decorative top treatment. Options such as cafe shades (a unique shade that can be opened from either top or bottom), smooth operation, and specialty shades are also available.